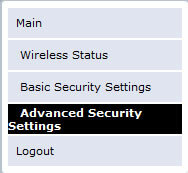 Click Advanced Security Settings (on the left). From Level 3, click Wireless MAC Authentication. 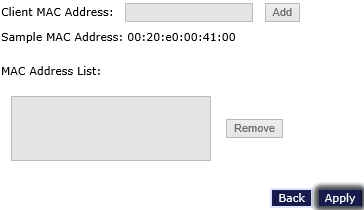 Follow the instructions to limit access to specific devices using the MAC addresses then click Apply (bottom of page).